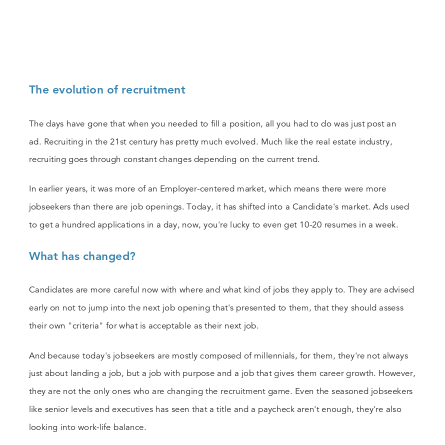 Recruiting goes through constant changes depending on the current trend. What used to be an employer-centered market, now we’re seeing more of a candidate's market. And if you’re not up to the trend, you might fall short on finding great leads. It’s time to upgrade your recruitment process and be current in how you find candidates.